If you asked me what was my favorite candy/treat to make these would be it (today anyways! ha.) The creamy peanut butter just melts in your mouth. 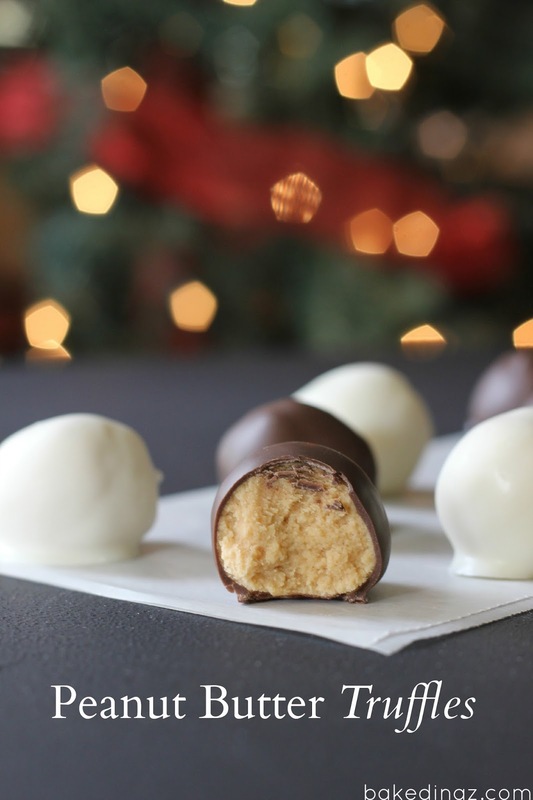 I prefer them dipped in white chocolate but milk chocolate is also wonderful. I usually do both. I made some and packaged them up in tins and delivered to neighbors and friends. I also made these for my sisters bridal shower and my cousins bridal shower. Basically any excuse I can find to make them! I drizzled colored chocolate over the top to add color for the showers. 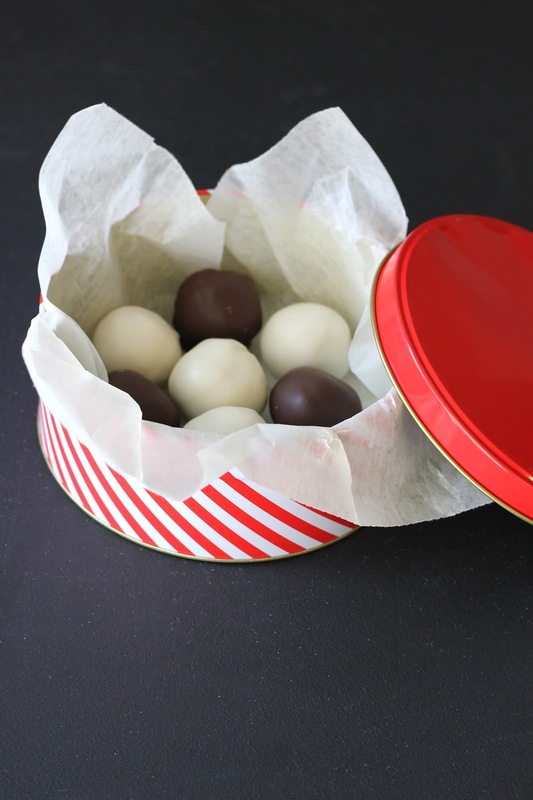 These truffles freeze great. You can either freeze them with or with out the chocolate. I usually freeze them without the chocolate and dip them the day or 2 before I need them and then just store in the fridge. I hope you all are having a happy holiday season and spending time with those you love! Place the marshmallow cream, peanut butter and butter in a mixing bowl. Using the paddle attachment or hand mixer, combine. Slowly add the powdered sugar until combined and a dough forms. Form 1"- 1½" balls and place on a cookie sheet. Melt the chocolate according do the package directions. Drop the ball into the melted chocolate. Using a spoon, turn the ball to make sure it's all coated in the chocolate. Lift out of the chocolate with the front of the spoon. Tap a few times to get excess chocolate off and scraped the bottom of the spoon on the side of the dish. Place chocolate truffle on a parchment lined cookie sheet. Makes 70-80 truffles depending on the exact size of the balls you make. Is that suppose to be half a cup of butter or one and a half? Sounds like a lot if it is the latter so I thought I best ask lol.